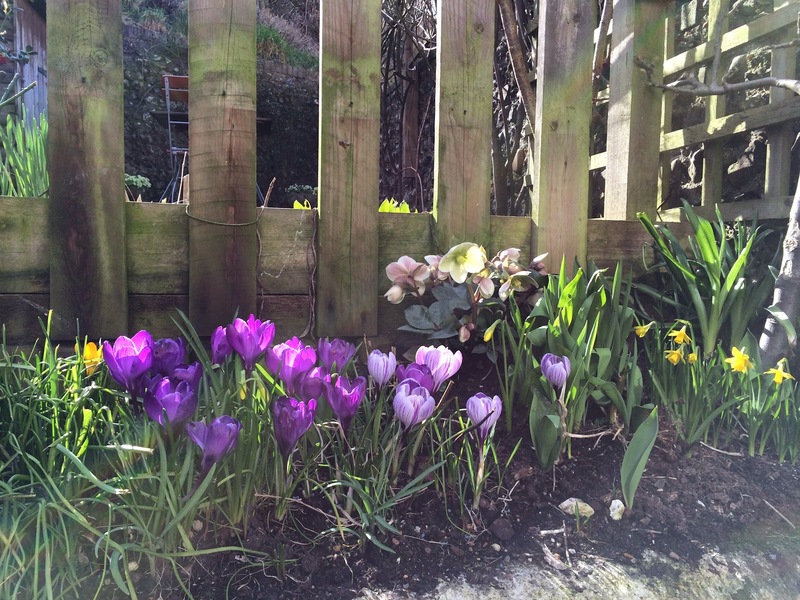 Getting my Lewes garden in order for the gardening year ahead. 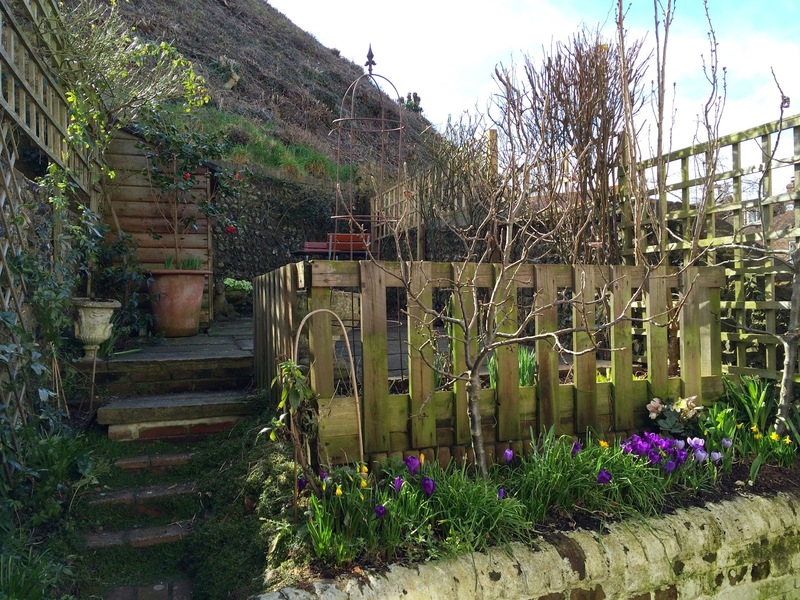 After a sunny and relatively mild weekend here in South East England, I can look out at my small Lewes garden and enjoy the results of some intense gardening – doing the work I should’ve done in February but completed, I think, in the nick of time if I’m to get another dramatic display of roses in the summer. 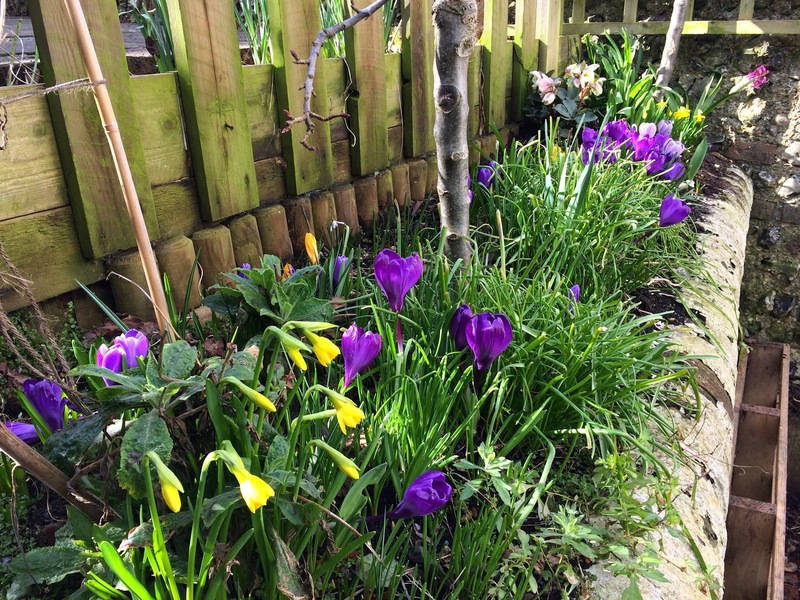 So with lacerated hands from all that rose pruning and the few aches and pains that usually accompany that first major gardening day of the year, I can now enjoy the rather late display of crocuses without any sense of guilt at jobs not done. 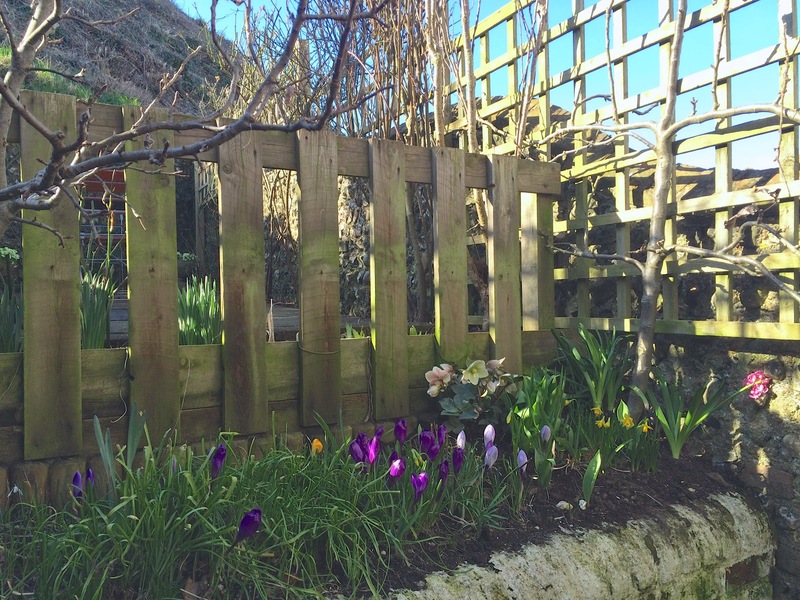 I’ve always liked the look of the garden after its end of the winter clean up – it is probably never as orderly again at any other time in the year – the later luxuriant wildness that I try to encourage is all based on detailed neatness at the beginning of the year.